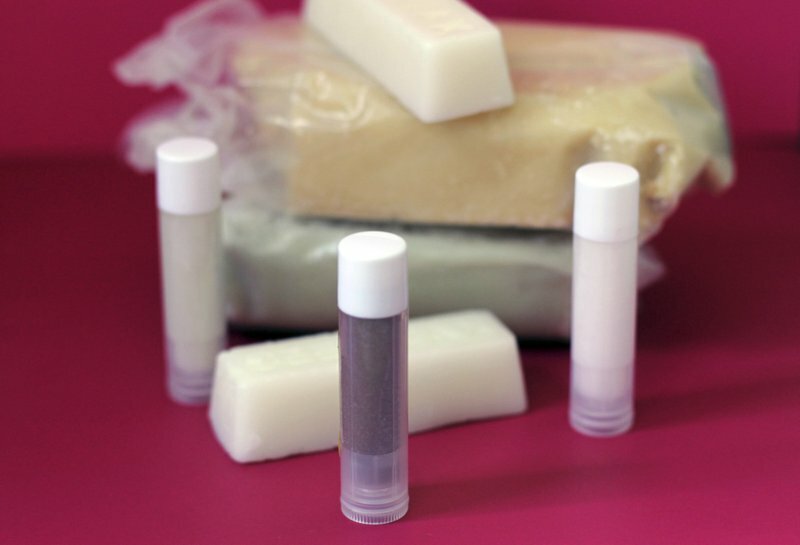 After a long, multi-blizzard winter, homemade lip balm is just the thing to get spring off to a smoother start. Searching for tutorials online, I came across a wide variety of recipes involving about half a dozen ingredients mixed and matched in countless combinations. I soon discovered that while one single tube of balm would be significant less expensive than commercially made versions, getting started can require a significant investment up front. And while I’ll now have the ingredients on hand (Lip balm for everyone on my Christmas list! ), I’m not sure I have enough friends to even make a dent in some of the supplies. Still, I liked being able to use all-natural ingredients, especially once I realized that my usual brand includes 20 ingredients, most of them unpronounceable chemical additives. Choosing my favorite scents or flavors was another plus. For testing purposes, I stuck with peppermint for each version, but mixing essential oils would be fun. All three of the versions I tried used beeswax as the base but differed in the number and type of other additions. The first tutorial I tried came from a blog called The Blooming Carrot and involved a mixture of coconut oil, beeswax and shea butter. The author admits to being picky about lip balms, and promises this version would be the perfect middle ground between balms that are too gooey and those that are too solid without being moisturizing enough. The technique was easy because the proportions were equal — melt 2 tablespoons each of coconut oil, beeswax pellets and shea butter in a double-boiler set over simmering water, and then add about 30 drops of essential oils. Compared to other methods, which involved a microwave and lots of stirring, this technique was the easiest. The mixture is then poured into lip balm tubes, which is a bit messy but not difficult. I ended up with 12 tubes from one batch. Once cooled, I found this balm slightly too soft for my tastes, though it did feel quite nourishing. My second attempt, via The Nourished Life blog, was the most ambitious: a chocolate-mint flavored lip balm with six ingredients that required the use of a digital scale for measuring. The first three ingredients — cocoa butter, shea butter and beeswax — are melted either in a double boiler or microwave. The remaining ingredients — sweet almond oil, peppermint essential oil and cocoa powder — are then stirred in, and the mixture poured into tubes. I should’ve stuck with the double-boiler method, because melting the ingredients in the microwave was a bit frustrating as they melted at different rates and got clumpy. It also was difficult to mix the cocoa powder in smoothly and to pour the mixture into the tubes before it started to solidify. The resulting balm — seven tubes in total — smelled and felt great. This version slightly edged out the first in quality, though I’m not sure it was worth the extra expense of the additional ingredients. Version No. 3 came from The Seasoned Mom blog, where the author claims her technique takes just five minutes to whip up. This balm had the shortest and thus least expensive ingredient list — coconut oil, beeswax and essential oils — but it took me at least twice as long. The directions call for melting 5 tablespoons of coconut oil and 3 tablespoons of beeswax in a glass measuring cup in the microwave, stirring every 30 seconds. Though it is not explained in the recipe, in the comments the author says she used a chunk of solid beeswax, melted it and then measured 3 tablespoons. It wasn’t clear to me whether the coconut oil was handled in the same way, so I melted them separately, measured the correct amounts and then combined them, adding the essential oils to the final mixture. The result was the firmest balm of the bunch. While not unpleasant, the texture didn’t feel as decadent as the others. But this option was by far the cheapest, and would be great for crafting on a budget.